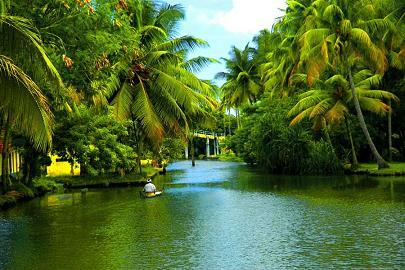 Kerala, the god's own country is located on the southwestern part of India on the Malabar coast. 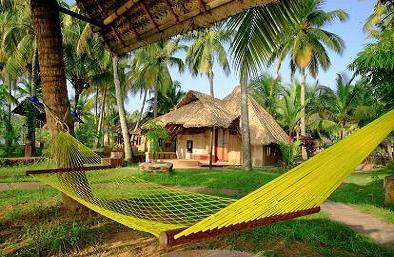 Kerala is one of the well-known tourist destination in India. 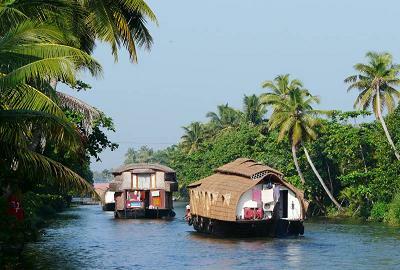 Kerala offers everything to the tourists which ranges from an equable climate, serene beaches, backwaters, hill stations, exotic wildlife sanctuaries, waterfalls, plantations, paddy fields, Ayurveda packages, art, culture, music, dance, festivals, historical monuments, exotic cuisine and houseboat cruise. It was formed on 1 November 1956 as per the States Reorganisation Act by combining various Malayalam speaking regions. Kerela spreads over 38,863 km2 (15,005 sq mi) it is surrounded by Karnataka to the north and north east, Tamil Nadu to the east and south, and the Lakshadweep Sea to the west. With 33,387,677 inhabitants as per the 2011 census, Kerala is the twelfth largest state by population and is divided into 14 districts. Malayalam is the most widely spoken and official language of the state. 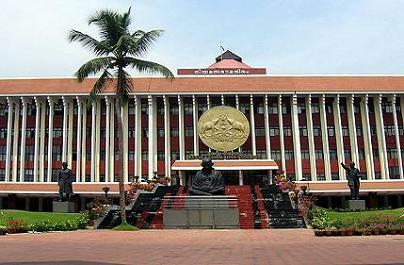 The state capital is Thiruvananthapuram, other major cities include Kochi, Kozhikode, Kollam and Thrissur. 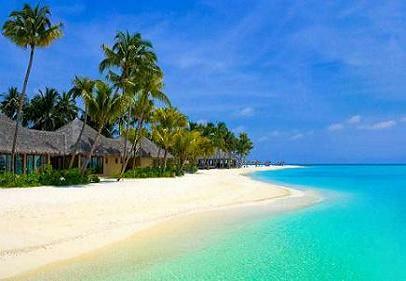 Thiruvananthapuram or commonly known as Trivandrum is the cosmopolitan and capital city of Kerala. 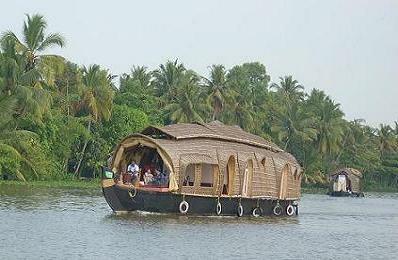 Kerala is enclosed by the Arabian Sea in the west, the Western Ghats in the east and is networked by forty four rivers. It extends along the coast of the Arabian Sea and is separated from the rest of the sub continent by the steep Western Ghats. Today, Kerala is the India's most advanced state with the highest literacy rate. Kerala is also the most cleanest and quiet state in India. For administrative purposes, the state of Kerala is divided into fourteen districts. English and Malayalam are the most common languages which are usually spoken in Kerala. Hinduism, Christianity and Islam religions are found in Kerala. 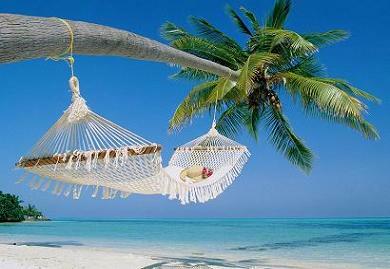 The climate of Kerala is pleasant for most of the part of year. In summers, the temperature is about 24 to 30 degree Celsius and in winters it is about 22 to 32 degree Celsius. The region was a prominent spice exporter from 3000 BCE to 3rd century. The Chera Dynasty was the first powerful kingdom based in Kerala, though it frequently struggled against attacks from the neighbouring Cholas and Pandyas. During the Chera period Kerala remained an international spice trading center. Later, in the 15th century, the worthwhile spice trade attracted Portuguese traders to Kerala, and finally paved the way for the European colonisation of the whole of India. After independence, Travancore and Cochin joined the Republic of India and Travancore-Cochin was given the status of a state. The majority of the people in Kerala are Dravidians. The main religion in Kerala is Hinduism with considerable percentage of Muslims and Christians. Christianity has a long history in this state, as it is supposed that the first missionary from Europe landed on the coast of Kerala in the first millennium. There is highest literacy rate in Kerala which has resulted in high health care and health awareness among the people. The women in the state enjoys high social status in the society. Higher education and equal opportunities have further strengthened the women's status in the society. Most of the biodiversity is protected and concentrated in theWestern Ghats. Out of the 4,000 flowering plant species 900 species are medicinal plants; 1,272 of which are widespread to Kerala and 159 threatened. Its 9,400 km2 of forests comprise tropical wet evergreen and semi-evergreen forests (lower and middle elevations-3,470 km2), tropical moist and dry deciduous forests (mid-elevations-4,100 km2 and 100 km2, respectively), and montane subtropical and temperate (shola) forests (highest elevations-100 km2). Altogether, 24% of Kerala is forested.Two of the world's Ramsar Convention listed wetlands-Lake Sasthamkotta and the Vembanad-Kol wetlands are in Kerala, as well as 1455.4 km2 of the vast Nilgiri Biosphere Reserve. Subjected to widespread clearing for cultivation in the 20th century, much of the remaining forest cover is now protected from clear felling. Eastern Kerala's windward mountains shelter tropical moist forests and tropical dry forests, which are widespread in the Western Ghats. Kerala's fauna are prominent for their diversity and high rates of endemism: it includes 102 species of mammals (56 of which are endemic), 476 species of birds, 202 species of freshwater fishes, 169 species of reptiles (139 of them endemic), and 89 species of amphibians (86 endemic).These are endangered by widespread habitat destruction, including landslides, soil erosion, salinisation, and resource extraction. In the forests, sonokeling, Dalbergia latifolia, anjili, Erythrina, mullumurikku, and Cassia number among the more than 1,000 species of trees in Kerala. Other plants include bamboo, wild black pepper, wild cardamom, the calamusrattan palm, and aromatic vetiver grass, Vetiveria zizanioides. Bengal Tiger, Indian Elephant, Indian Leopard, Nilgiri Tahr, Common Palm Civet and Grizzled Giant Squirrel are also found in the forests. Reptiles include the Mugger Crocodile viper, python, and King Cobra. Kerala's birds include legion-Malabar Trogon, the Great Hornbill, Kerala Laughing thrush, Darter, Southern Hill Myna and various symbolic species. In lakes, wetlands, and waterways, fish such askadu; vicious catfish and Choottachi; Orange chromide-Etroplus maculatus are found. The culture of Kerala is composite and cosmopolitan in nature and it's an integral part of Indian culture. It has been intricated through centuries of contact with neighboring and overseas cultures. However, the geographical insularity of Kerala from the rest of the country has resulted in development of a unique lifestyle, art, architecture, language, literature and social institutions.There are around 10,000 festivals celebrated in the state. The Malayalam calendar, a solar calendar started from 825 CE in Kerala, finds common custom in planning agricultural and religious activities. Kerala has a wet and maritime tropical climate influenced by the seasonal heavy rains of the southwest summer monsoon and northeast winter monsoon.Around 65% of the rainfall occurs from June to Augus t corresponding to the southwest monsoon, and the rest from September to December corresponding to northeast monsoon. The moisture-laden winds, on reaching the southernmost point of the Indian Peninsula, because of its topography, become divided into two parts: the "Arabian Sea Branch" and the "Bay of Bengal Branch".The "Arabian Sea Branch" of the Southwest Monsoon first hits the Western Ghats in Kerala thus making the area the first state in India to receive rain from the Southwest Monsoon. The distribution of pressure patterns is reversed during this season and the cold winds from North India pick up moisture from the Bay of Bengal and precipitate it in the east coast of peninsular India. In Kerala, the influence of the northeast monsoon is seen in southern districts only. Kerala's rainfall averages 3,107 mm (122 in) annually. Some of Kerala's drier plain regions average only 1,250 mm (49 in); the mountains of eastern Idukki district receive more than 5,000 mm (197 in) of or graphic precipitation: the highest in the state. In eastern Kerala, a drier tropical wet and dry climate prevails. During summer, the state is prone to gale force winds, storm surges, cyclone-related heavy downpours, occasional droughts, and rises in sea level.The mean daily temperatures range from 19.8 °C to 36.7 °C. Mean annual temperatures range from 25.0–27.5 °C in the coastal lowlands to 20.0–22.5 °C in the eastern highlands. Eravikulam National Park, and Muthanga Wildlife Sanctuary are the most popular among them.The "backwaters" are widespread network of interlocking rivers (41 west-flowing rivers), lakes, and canals that center around Kumarakom, Kollam, Alleppey, and Punnamada (where the annual Nehru Trophy Boat Race is held in August). Padmanabhapuram Palace and the Mattancherry Palace are two prominent heritage sites. According to a survey conducted among foreign tourists, Elephants, fireworks display and huge crowd are the major attractions of Thrissur Pooram. Nemmara Vela is also famous for the fireworks. The boat races are the another main attraction in Kerala. The boat races indicates the excellent team spirit, integration and unity of the people. These boat races are the event of great excitement of the exciting people. The snake boat races of Kerala are the wonderful festivals that brings alive the quiet backwaters. The well-known boat races are Nehru Trophy Boat Race, Champakulam Moolam Boat Race, Aranmula Uthrattadi Vallom Kali. The history of Kerala is very distinct. According to the legend, the Lord Vishnu descended from the heavens in his embodiment of Parashuram. After slaying the evil kings 21 times over to revoke their force from earth, he did sacrament for waging the terrible war, and threw his axe into the sea. The area where the axe landed, from shaft to blade, Kerala rose from the sea. Kerala was visited by the rulers from the other countries like Greece, Rome, Arabia, China. The Portuguese were forced out of the area. In 1795, the Dutch too had to move out, and the British traders were become the strongest power in India by that time. The Phoenicians started the sea trade, and in 1000 BC Kerala was visited by King Solomon's ships that travelled to `Ophir', the modern Puvar, south of Trivandrum. In all this period of prosperity and strife, the region's identity existed as the Malabar Coast and Cochin Travancore. It was only in 1956 that it gained recognition as an independent state, Kerala. Kerala cuisine has a multitude of both vegetarian and non-vegetarian dishes prepared using fish, poultry and meat. Cooking spices have been cultivated in Kerala for millennia and they are characteristic of its cuisine.Rice is a dominant staple that is eaten at all times of day. Breakfast dishes are normally based on the rice preparations idli, puttu Idiyappam, or pulse-based vada or tapioca. These may be accompanied by kadala,chutney, payasam, payar pappadam, Appam, egg masala and fish curry.Lunch dishes comprise curry and rice along with rasam, sambar and pulisherry. Sadhya is a vegetarian meal, often served on a banana leaf and followed with a cup of payasam. Popular snacks include banana chips, tapioca chips, yam crisps, unniyappam andkuzhalappam.Non-vegetarian dishes, including those with beef and pork, are famous in the state.Sea food specialities include karimeen, prawn, shrimp and other crustacean dishes. Kerala is surrounded by the Arabian Sea in the west, Karnataka in the north and northeast, and Tamil Nadu and Western Ghats in the east. 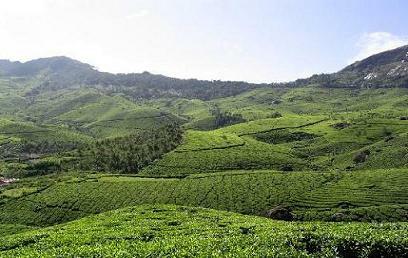 Geographically, Kerala is a part of the coastal belt and the Western Ghats runs along the Kerala. Kerala is networked by forty four rivers. 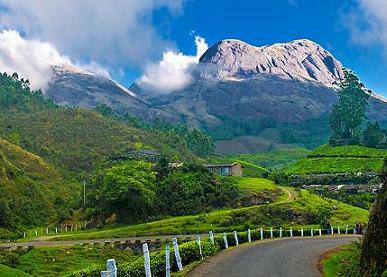 Due to these unique geographical features, Kerala is one of the most well-known tourist destination in India. 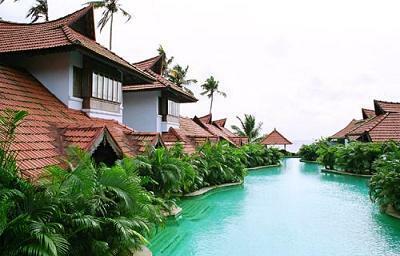 The coastal belt of Kerala is lined with sandy and sunny beaches, palm lined shores and serene backwaters. 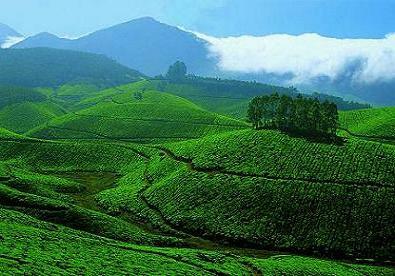 The hill ranges of Kerala have wildlife sanctuaries, tea estates, hill stations and spice plantations. The rain bearing clouds of the south-west monsoon brings heavy rainfall to Kerala from May to September. 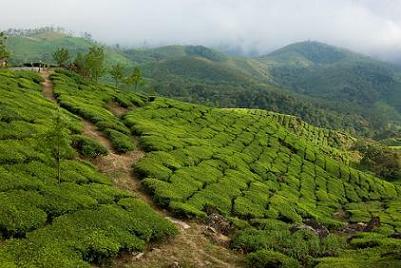 The location of Kerala gives it a unique climatic and geographic features. Railway connects different places within and outside Kerala as there are about 200 railway stations present in Kerala. For long distances there are super fast trains, express trains which connect Kerala to Mumbai, New Delhi, Chennai and Kolkata. Apart from these, there are speed-boats, public ferry services, houseboats or ?ketuvallams? to reach different destinations of this striking place. Kerala is linked by road to Tamil Nadu and Karnataka through national highway. You can hire buses, tourist taxis, and autos which are the main mode of road transport. Kerala is linked with other states through metalled roads. Thiruvnanthapuram, Kochi and Kozhikode have three separate international airports. 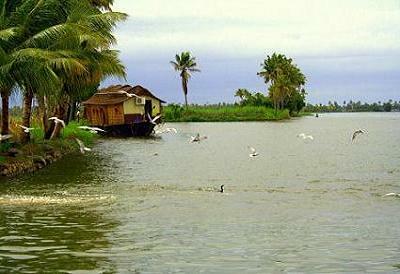 Thiruvnanthapuram is the capital of Kerala which is linked to the other cities of Kerala.